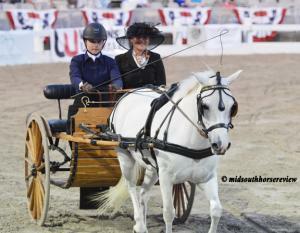 The Nashoba Carriage folks certainly show style and grace when “dressed to the nines” in the pleasure driving classes. 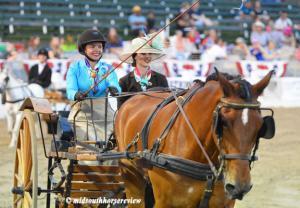 But they also know how to have fun and be competitive in the “speed” classes, like the scurry races and carriage barrel racing. 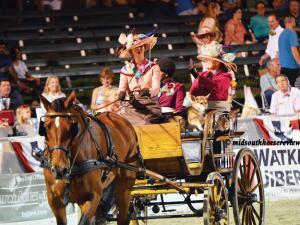 This year they added a new fun class – Gambler’s Choice for driving. Those classes were wildly entertaining for the nightly crowds! Thursday night featured the new Gambler’s Choice. The jump standards were left from the Gambler’s Choice jumper class and cones with tennis balls were added inside the standards. Each obstacle had a specified number of points and the driver accumulating the most points within the specified amount of time was the winner. In the Horses division, Ken and Chrissy Daniels driving Bob were the winners, with Pam Anderson and Rebel second, and third to Laura Lawson and KT Barnabus. 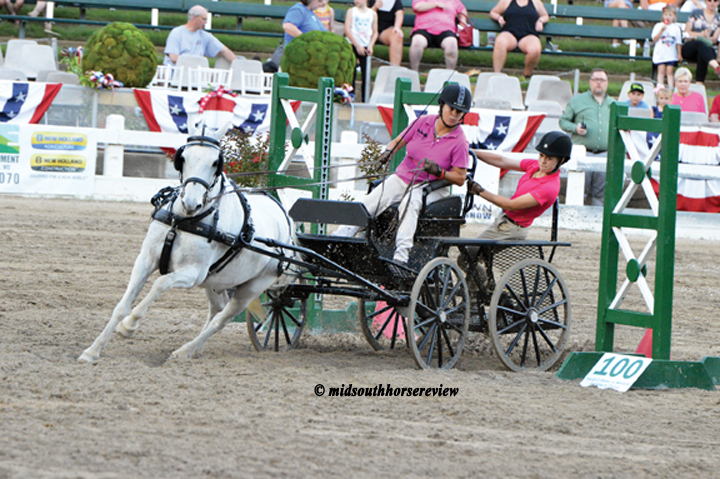 In the Ponies division, last to go Joanna Wilburn with Rollingwood’s Berry Last One blazed through the finish line with the most points. 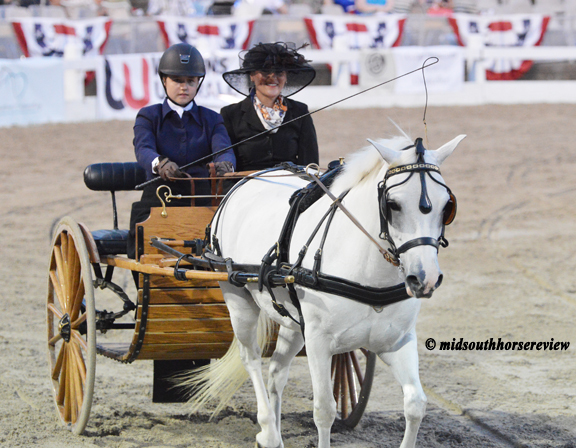 Sarah Foster and Lace Cap were a close second, with Alex Clark driving Rollingwood’s Back In Black to third and Kitty Walters fourth with Dim Sum – the smallest pony in the class. 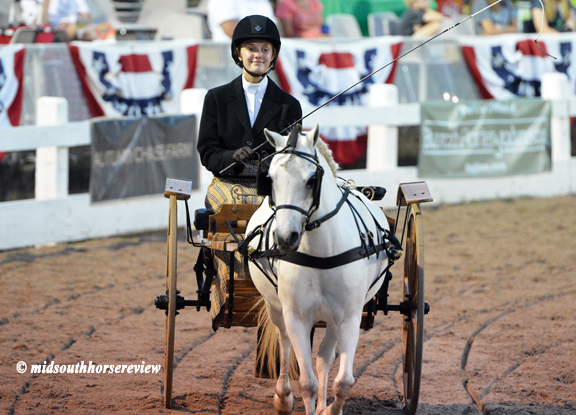 Friday night featured the Scurry Races and Saturday night were the Carriage Barrel Races, each having both a horse and pony division. 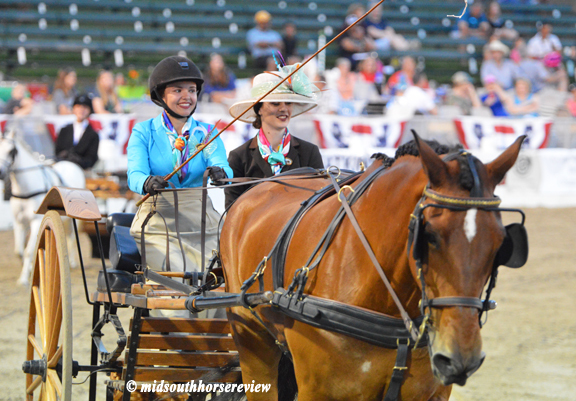 In the Scurry Races, Laura Lawson and KT Barnabus were once again in the winner’s circle, with Ken Daniels, driving Sammy, in second in the Horses division. 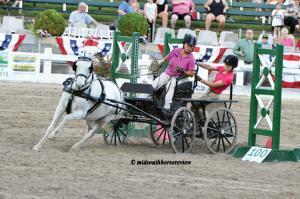 In the Ponies division, Joanna Wilburn once again left the others in the dust with Rollingwood’s Berry Last One. But Kitty Walters and Dim Sum gave them some tough competition, earning second. Maria Roberts and Rollingwood’s Off The Raydar was fast in the class, too, finishing third, leaving Sarah Foster and Lace Cap in fourth. 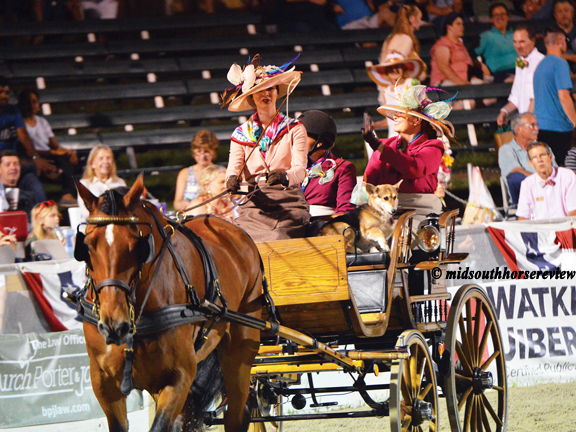 In Carriage Barrel Races, Laura Lawson took the “triple crown” and won for the third time with KT Barnabus in the Horses division. 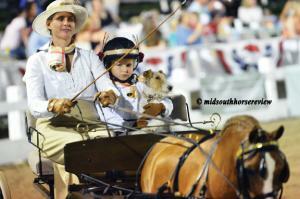 So did three-time winner Joanna Wilburn with Rollingwood’s Berry Last One in the Ponies division. 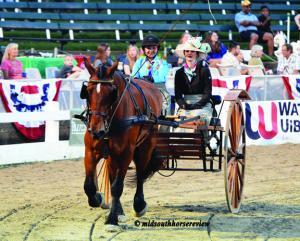 This time Maris Roberts was second with Rollingwood’s Off The Raydar and Sarah Foster was third with Lace Cap. 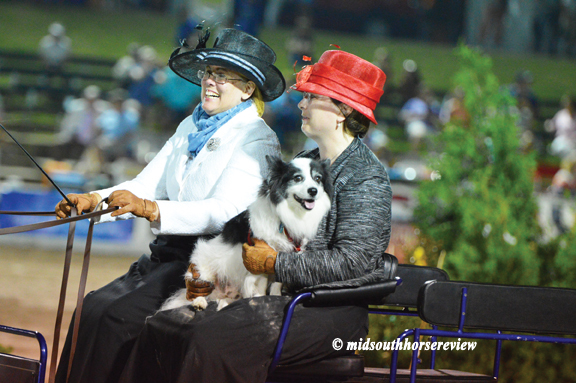 The pièce de résistancewas Saturday night’s Best Carriage Dog class. 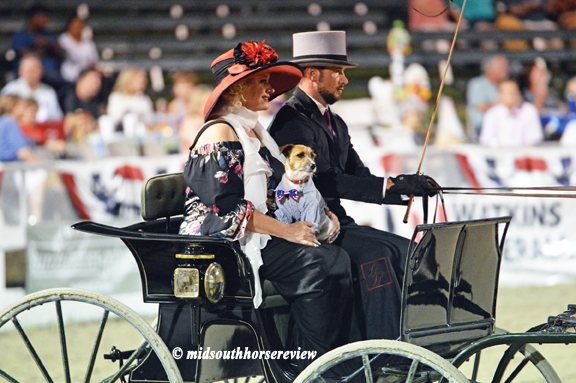 The 2018 GCHS Best Carriage Dog is Mae Mae, owned by Pam Anderson, riding in the carriage driven by Laura Lawson with KT Barnabus. Romeo, driven by Taylor Hanes was second. 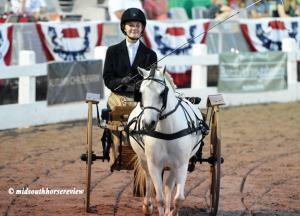 Even the Tennessee Walking Horses had a driving division. 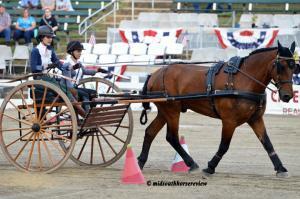 Zach Parsons and Caterpillar were winners of the TWH Pleasure Driving class.